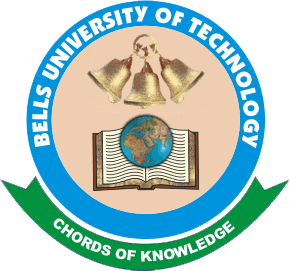 Bells University of Technology, BUT Ota Direct Entry Degree and Higher National Diploma, HND Conversion Programme Application form, Courses, Application Guidelines for 2019/2020 Academic Session. Click on "Begin Application" under the General Menu. You should ONLY do this after you MUST have read and understood all the instructions on this site. The Email Address supplied has to be unique and valid, and will serve as your Registration ID to make payment. At the point of registering an account, you are to supply a PASSCODE. This PASSCODE will enable you access the payment system. This can be accessed through the "returning aplicant" link at the top of this page. As a "Returning Applicant", you can make payment (by clicking on "Click here to Pay for your Application Form with a Created Email Address". You are expected to supply the Email Address registered earlier and the PASSCODE you supplied); and you can also complete the Application process. As a Returning Applicant, after you must have made successful payment, you are to proceed to obtain a Form Number to begin your registration. This can be done by clicking on "Click here to Obtain a Form Number". You are expected to supply the Email Address registered earlier and the PASSCODE you supplied.